The total refunds made aggregate Rs 55.72 crore. 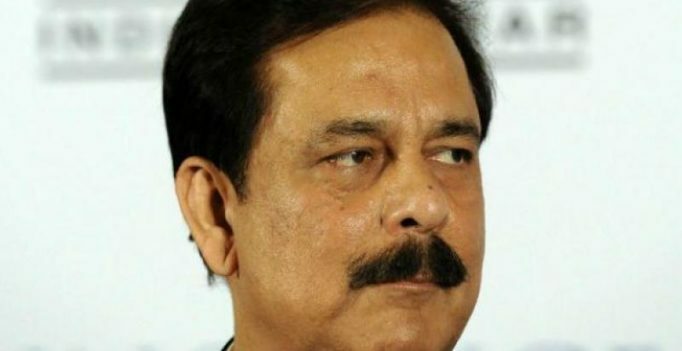 New Delhi: In the high-profile Sahara case, markets regulator Sebi today disclosed having received nearly 12,000 refund applications from investors, of which refunds have been made for over 8,700 cases of over Rs 55 crore, including interest of about Rs 24 crore. Giving the latest status on refunds, for which Sebi has been mandated by the Supreme Court, the regulator said it had received 11,956 applications involving 36,415 deposit accounts and made refunds with respect to 8,734 applications involving 20,783 deposit accounts. The total refunds made aggregate Rs 55.72 crore, including principal amount of about Rs 31.7 crore and interest of over Rs 24.01 crore. “About 336 applications involving 1,648 deposit accounts were referred back to the applicants for removal of discrepancies and out of the remaining, 3,127 applications involving 8,071 deposit accounts fell in the disputed category, which need to be looked into and decided upon individually by the competent authority,” Sebi said. Pursuant to the order of the Supreme Court on May 8, 2013, permitting Sebi to make refunds to those genuine investors who lodged their claims with the regulator, it issued two series of advertisements released in August and December 2014 and a format of application for refund was put on Sebi’s website. About another high-profile case involving PACL Ltd, Sebi said in its annual report that it has recovered Rs 211.60 crore after initiation of recovery proceedings against the company and its promoters and directors in November 2015. Further, the Supreme Court asked Sebi in February this year to constitute a Committee under the Chairmanship of former chief justice of India Justice R M Lodha to sell the assets of PACL and distribute money to the investors. As per the directions of the committee, the entire amount of Rs 211.60 crore has been transferred to the separate designated bank account opened by the committee. During 2015-16, Sebi also initiated second tranche of distribution of reallocation amount to 4.63 lakh investors from the amount disgorged in the matter of initial public offerings (IPOs) irregularities. An amount of Rs 18.06 crore has been distributed by Sebi to the investors which include the money recovered by Sebi in exercise of the newly-conferred recovery powers. Sebi has sold the shares attached in recovery proceedings against various defaulters in 744 trading sessions and realised an amount of Rs 11.45 crore. An immovable property of one CIS entity has been auctioned and was sold for Rs 2.09 crore. It’s common in the U.S. for doctors to cut the cord almost immediately, within 15 to 20 seconds of birth, unless the baby is premature….